Mumbai: The capital markets regulator’s probe into the National Stock Exchange of India’s (NSE’s) algorithmic trading platform has found that some traders had unfair access to market data and trading systems, a person familiar with the matter said. The Securities and Exchange Board of India (Sebi) on Thursday said that it has concluded its two-and-a-half-year long investigation into the issue and has started enforcement proceedings without disclosing details. 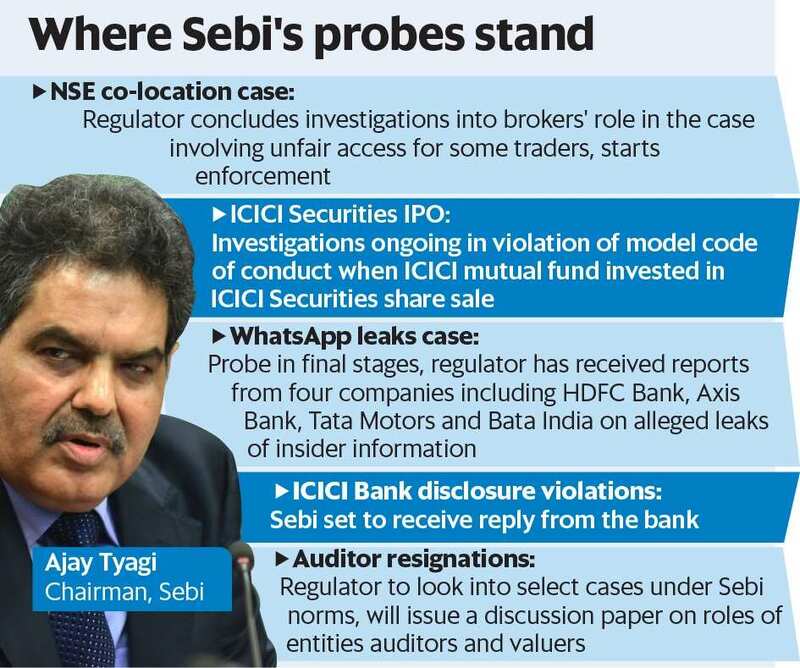 “We have received the investigation reports from the forensic auditors and also our internal team reports," Sebi chairman Ajay Tyagi said after a meeting of its board. “We have taken into consideration their recommendations and based on that we have initiated enforcement proceedings against institutions and individuals." With the completion of the investigation, India’s premier exchange can consider applying for a consent order and clear the deck for its much-awaited initial public offering. A consent order would allow NSE to settle the charges without admission or denial of guilt. An NSE spokesperson declined to comment immediately. Vikram Limaye, managing director and chief executive officer of NSE, indicated in a 24 May interview that it will reapply for consent once Sebi concludes its investigations and hopes the NSE listing would happen by March. This is the second part of Sebi’s investigation into the unfair access on NSE’s co-location or algorithmic trading platform. The first part, which was concluded in April last year, focused on lapses at the exchange and its systems. This current investigation was to ascertain the extent of the ill-gotten gains made by the brokers due to unfair access. Sebi investigated the role of more than 20 brokers, the unidentified person cited above said on condition of anonymity. Tyagi did not elaborate on the extent of the gains. The Sebi chairman said that the regulator is also investigating the ICICI Securities Ltd IPO, where affiliate ICICI Prudential Mutual Fund made a large investment to bail out the IPO. Mint first reported it on 24 April. In the case of ICICI Securities, the brokerage had cut its IPO size to ₹ 3,520 crore from the original target of ₹ 4,017 crore because of poor investor interest. Of this, a large chunk was bought by ICICI MF. Sebi is investigating ICICI MF’s investment to ascertain if the fund house is in violation of the model code of conduct prescribed in Sebi’s norms for mutual funds. ICICI MF is ICICI Securities’ largest public shareholder with 3.82% stake, according to the company’s shareholding pattern on BSE. An email sent to ICICI MF was not answered immediately. Sebi is also in the final stages of its probe into the alleged leak of insider information on WhatsApp messaging groups. “We have received four reports from the companies whose financial information may have been leaked. We are examining the reports," said Tyagi. On the series of auditor exits, where so far this year 32 auditors have quit midterm and 37 auditors quit in 2017-18, he said that Sebi has taken cognizance of the issue. “We are currently proceeding based on provisions of Sebi regulations. We are also going to issue a consultation paper on third-party entities such as auditors and valuers," said Tyagi. The consultation paper is going to outline the roles, responsibilities an penal action in case the auditors and valuers are found wanting in their duties.